1. Analyze the Missouri Compromise. a. Why was the Missouri Compromise proposed and why was it necessary? Who proposed it? b. What was the Missouri Compromise supposed to address? c. What were the terms of the Missouri Compromise? How did the Compromise attempt to resolve conflicts over the expansion of slavery? d. How long did it last and why did it ultimately fail? 2. Analyze the Compromise of 1850.
a. Why was the Compromise of 1850 proposed and why was it necessary? Who proposed it? b. What was the Compromise of 1850 supposed to address? c. What were the terms of the Compromise of 1850? How did the Compromise attempt to resolve conflicts over the expansion of slavery? d. What was Popular Sovereignty and how was it used to define the terms of the Compromise of 1850? e. What was the Fugitive Slave Act and what were the implications of the act for both Northerners and Southerners? Why were Southerners so pleased with the Act? Why were Northern Abolitionist so angered by the Act? f. How long did it last and why did it ultimately fail? 3. Analyze the Kansas- Nebraska Act. a. What were the terms of the Kansas-Nebraska Act? b. Why was it proposed or why was it necessary? d. Why were antislavery northerners angry about the Kansas-Nebraska Act? In what way did the Act violate the Missouri Compromise? ​4. Analyze the events known as “Bleeding Kansas”. a. What occurred in Kansas? What role did Popular Sovereignty play in the events that occurred? b. How did northerners (exp... New England Emigrant Aid Company) and southerners (Border Ruffians) both try to swing/ control the election in Kansas? Explain. c. Why did Kansas eventually end up with two different capitols? d. What occurred at Marais des Cynges? Explain how these events represented differing views regarding the expansion of slavery? e. What were the consequences of the events at Bleeding Kansas? ​5. Analyze the events at Harpers Ferry? a. What was John Brown’s goal? b. What did John Brown hope to accomplish? Who assisted him? c. What occurred and what were the results? d. How was John Brown viewed by his peers (both in the North and in the South)? 6. Analyze the Lincoln Douglas Debates. a. 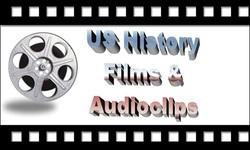 What election & in what State were the Lincoln Douglas debates held? Who won the election? b. What were the debates like? i.e. who attended...how many people attended? How did the debates become national spectacles? 7. Analyze the election of 1860? a. Prior to the election of 1860 what were the primary political parties in the United States? b. How did the issue of slavery divide both the Whig and Democratic parties during the election of 1860? What parties arouse as a result of the split? c. Who were the candidates? How did their beliefs reflect regional divisions within the United States? d. Which party/ candidates won each of the states, popular and electoral votes in the election of 1860? Explain and demonstrate this on a map of the United States. e. Why were Southern States unhappy with the results of the election? f. How did the election of 1860 spur (lead to) the American Civil War? The "Willowcreek Library Texts and Tools" button above will link you to the Alexandria Library. Within the Alexandria library any books with the call number starting with "REF" or a number are informational texts, conversely any call number starting with "FIC", "PB", or "SC" are fictional texts. To access books tagged for the West and Transportation go to the search page, type in "ness civ war" , and hit search. on the top right hand corner click on the "find more" box. To assist in your search, go to the top drop down menu "unsorted" and sort by "Call Number", this will categorize the fiction and informational texts,posting the informational texts (excluding reference texts) on the top; in addition it will indicate the order of the texts on the stacks. Identify the call number to find the text on the stacks. Answer the question: With the failure of compromise, how did the Lincoln-Douglas debates and the election of 1860 lead to secession? 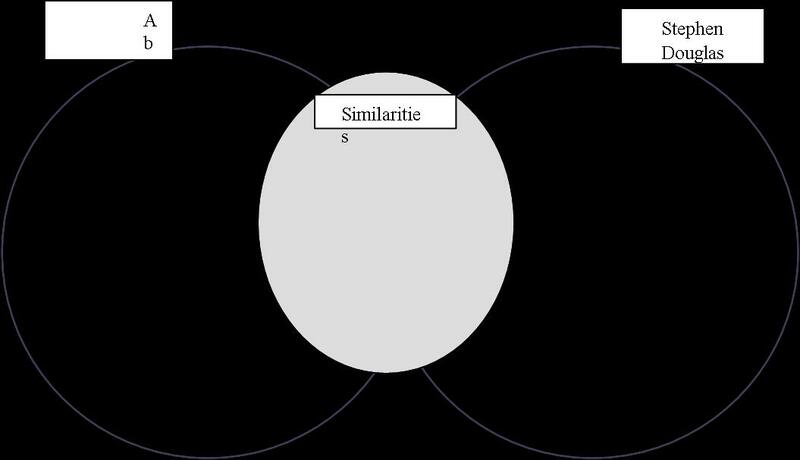 On the Ven Diagram below identify the different and similar arguments for and against slavery proposed by Stephen Douglas and Abraham Lincoln. 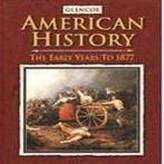 The lecture above was presented on 4/19/16 by Gage B. Gage accurately and humorously teaches about the various attempts to compromise prior to the American Civil War. On arrival on the site you will need to go to the search box and type: "Lincoln Douglas Debate" on arrival on the search page, go to the first link entitled: "Lincoln-Douglas Debate - American Rhetoric". On site you can both read the script and listen to the script. To play the script open the link entitled: "Audio mp3 of Address". Missouri Compromise: Lib of Cong. Bleeding Kansas: Kan. Hist Soc.